Castlewellan (from Irish: Caisleán Uidhilín meaning "Uidhilín's castle"). 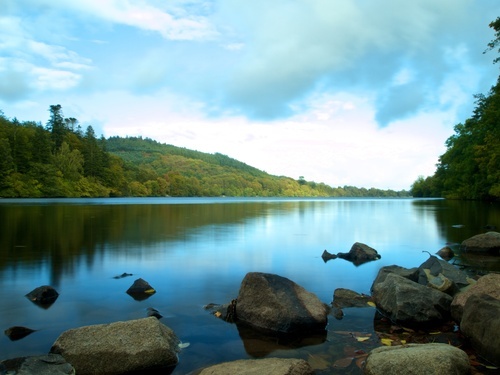 Castlewellan Lake is situated in Castlewellan forest park which lies just outside of the main village. The lake itself is used for a variety of different watersports and is a popular destination for various types of fishing.